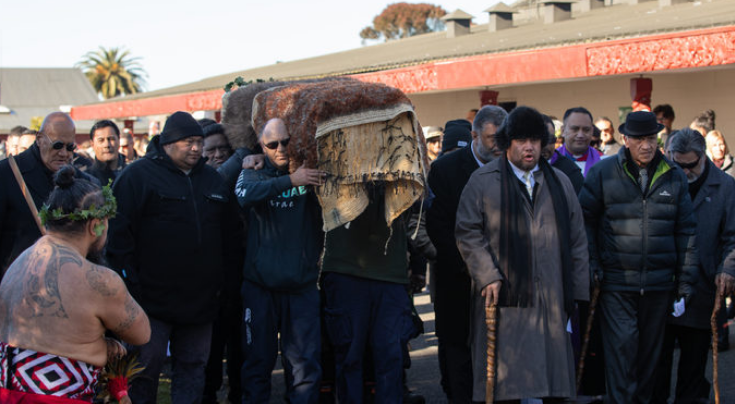 The recent sad passing of Koro Wetere marked quite a milestone for Māori politics, and Māori history. As a Minister in the reforming Fourth Labour Government, Wetere had his hands on significant pieces of legislation, not least that affecting the Waitangi Tribunal. But the viability of Māori futures, independent of the Crown, was also in his sights. It was all a long way from the relaxed, rural environs of Oparue where he was born and raised after 1935. Following stints at Te Kuiti College and Massey University, Wetere was appointed to a Ratana Ministry, serving his Ngāti Maniapoto kin of the King Country. And there he might have happily remained, but for the Labour Party, long-time political partner of Ratana, which soon came knocking. Wetere was recruited to the Party in 1957 and eventually won the seat of Western Māori in 1969, assuming the mantle of illustrious forbears like Wiremu Te Wheoro (1879-1884) and Hoanui Taipua (1886-1893), glittering names in the pantheon of Māori politics. To most observers, Koro Wetere was an unlikely reformer; he was certainly staunch and steeped in tradition, but he was also self-effacing and somewhat reclusive by nature. Working alongside Matiu Rata, a true reformer, changed all this. It was Rata, as Northern Māori MP, who pushed Norman Kirk’s Third Labour Government hard for change in how things were done for Māori. 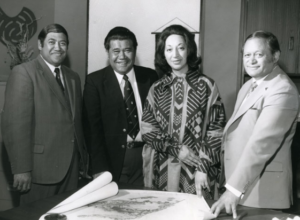 Rata’s most significant achievement was the Waitangi Tribunal, set up in 1975. But he also gave vioce to Māori calls for political autonomy, an aspiration held since the early 1890s. When Labour lost power in 1975, the mantle of reform passed to Wetere, especially once a disillusioned Rata walked away from Labour in 1979, to establish his own ill-fated Mana Motuhake Party. Koro Wetere seized the mantle with both hands. His big chance came with the election of David Lange’s Fourth Labour Government in 1984. By then, Māori had long wearied of Crown paternalism, and they were saying so. A Māori Economic Summit of 1984, convened to address Maoridom’s slide into an economic and social abyss, called for greater power, resources and autonomy. This time, the government was listening. But Māori communal structures were weak, or nonexistent. Grass-roots reform was urgently needed, if State resources were to flow to Māori. The Department of Māori Affairs was also in the firing line – Wetere wanted this behemoth abolished, with its powers devolved to Māori. The Department’s funding could be redirected to Māori as soon as iwi structures were reformed, credible social and economic programmes were established, and Māori themselves were sufficiently upskilled to manage this new, daunting opportunity. It was a heady time of urgent and fast-paced reform, all masterfully managed by Koro Wetere as Minister of Māori Affairs. One consultation exercise, to promote the He Tirohanga Rangapu reform policy undertaken in 1988, was the largest sounding of Māori opinion ever undertaken. Wetere and his team of officials blitzed the country. Marae after marae responded positively to Wetere’s resolute performance at powhiri, whaikorero, wananga and hui, his booming te reo resonating off every pou and whare. Those officials along for the ride were witness to quite a history in the making. In the midst of this reforming zeal, the government agreed to extend the Waitangi Tribunal’s powers of enquiry back to 1840, placing all of New Zealand’s history under judicial review. It was a significant move but should be seen as part Wetere’s passionate drive to devolve more power and resources to Māori. In the end, Wetere had his way. Māori Affairs was abolished in 1989. New legislation provided for reformed iwi structures to be established so that devolved programmes and monies could be handled properly. Maori communal structures underwent change the like of which had not been seen before, all overseen by a determined Minister of Māori Affairs, Koro Wetere. When the Fourth Labour Government lost office in 1990, Wetere returned to the Opposition benches, and retired six years late, leaving behind a signififcant legacy of reform that has lasted, and sets the tenor for today. 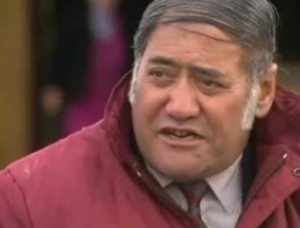 Though still active as advisor and confidant to the Māori Queen, Koro Tainui Wetere largely withdrew from sight, still a humble and engaging man, one further glittering name in the pantheon of Māori politics. During the Wetere reform era, Danny Keenan (the writer of this website) was one of the Māori Affairs officials accompanying Wetere as he travelled the country, consulting with Māori, promoting his ambitious reform agenda.